Francis Moran & Associates > Commercialization ecosystem > Is it spring time for venture capital in Canada? 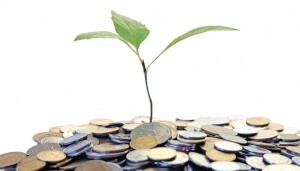 Is it spring time for venture capital in Canada? When the Canadian federal government announced in its April budget that it would be kicking up $400 million to help increase private sector investments in early-stage risk capital and to support the creation of large-scale venture capital funds led by the private sector, I figured it wouldn’t take long before someone stepped up to tell the feds what to do with the three quarters of that pot of money that wasn’t earmarked for the Business Development Bank of Canada. First past the post with its recommendation was the Canadian Advanced Technology Alliance, or CATA Alliance, which this past week issued a well-reasoned report that examined and rejected three possible models for doling out the new money before making the case for Canada adopting what has generally become known as the Israeli, or “Yozma-inspired,” approach. The model would see the BDC — which is essentially the government’s own venture capital arm anyway — manage a competitive RFP process to select Canadian or international VC firms, or groups of firms, that would act as general partners for new funds. Those GPs would then recruit additional limited partners who would match or better the government’s contribution to create new funds of at least $200 million each. It’s a sensible approach that would give the federal government funds a two-to-one-or-better leverage, potentially attract to Canada some of the best international VC brain power and foreign VC investment, and see the creation of new funds in the sweet-spot range of $200 million or more. CATA’s recommendation, if acted upon by the federal government, would be another rather bright spot of news in a Canadian VC sector that has seen a number of good-news announcements over the last little while. Two new funds were announced over the past month: Celtic House Venture Partners’ new $105 million Fund IV, and Rho Canada Venture’s second Quebec-based fund. Teralys Capital, a fund of funds financed by the large sovereign investment pools of Quebec Inc., kicked in half of Rho’s $100 million new fund. These announcements came on the heels of iNovia’s December announcement that it had raised $110 million for its third fund. BDC was a player in all three new funds, investing a total of $63 million in a continuation of its fund-maker role that makes it the obvious fit to manage the CATA-recommended approach for the federal government’s $300 million pot. The Ontario Venture Capital Fund was also a key player, investing $70 million in Celtic, Rho and a third fund with Lumira Capital Corp. The Lumira fund, with backing from Merck & Co., was announced in March. I wasn’t at the annual conference of the Canadian Venture Capital Association two weeks ago but, by all accounts, it was a pretty upbeat affair, and no wonder. Not only was the assembled crowd basking in the good news about new funds, many were also counting nice, fat returns from the more than $1 billion in exits by Canadian companies over the past 12 months. So, all bright and cheery, no? Well, not necessarily. All that good news is a clear indication that Canadian companies are once again attractive targets for this class of investor, and that means there is going to be increasingly stiff competition for the best deals. Canadian VCs are going to have to step up their game, seasoned tech finance guy and venture fund partner Mark MacLeod recently wrote, and I can’t disagree. More interestingly, new investment classes may be just around the corner that could see Canadian companies foreswear the VC route. Waterloo-spawned Pebble raised a mind-blowing $10 million on the crowd-sourcing site Kickstarter after failing to attract venture capital. The CATA report referenced above also called for the elimination or loosening of provisions that allow only “qualified investors” — people with significant personal net worth or experience — to make equity investments in startups. Among other benefits, doing so would allow a Canadian equivalent of Kickstarter to be launched. Pebble founder Eric Migicovsky was quoted recently saying, “Canada is a waste of time for entrepreneurs building startups,” a sentiment I hope was mainly a criticism of this country’s lag in encouraging new and social methods of raising money for startups. As I tweeted when the Rho fund was announced, two swallows does not a spring make. But the long cold winter of venture capital’s discontent may be thawing in this country, and that can only be good news for the commercialization ecosystem.